STILL GROOL! 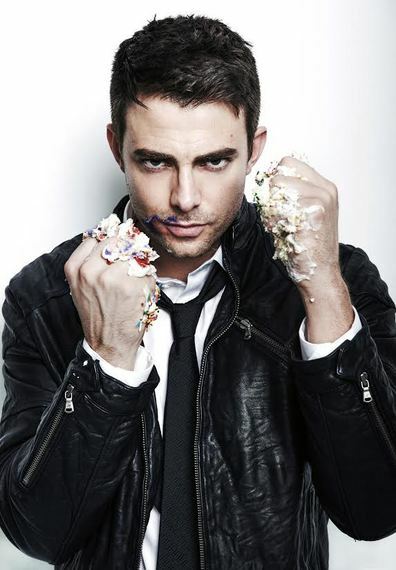 MEAN GIRLS Heartthrob JONATHAN BENNETT Talks Being The Host With The Most On CAKE WARS And CUPCAKE WARS, His Favorite MEAN GIRLS Quote, And Dealing With MEAN GIRL Cyber Bullies! Not many guys can say they are the quintessential iconic heartthrob. 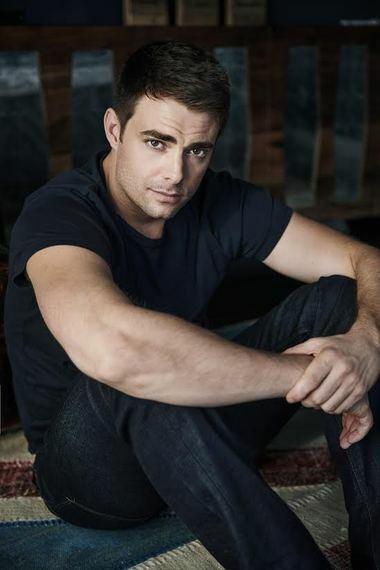 But, the go-to staple "big man on campus," Jonathan Bennett, has been making audiences swoon for well over a decade in roles like All My Children, Van Wilder: Freshman Year, Lovewrecked, and of course, Mean Girls- a role where they needed a guy so aloofly charming and handsome that all the girls would be at war over him. And it's those exact skills that he puts to work now on his new gig as the host of Food Network's Cake Wars and Cupcake Wars. Still as cute and charismatic as ever, Bennett easily could still send any Mean Girl tearing out the eye of another over him in an all out war! But, this time? The sweets are at stake, and Bennett brings his own dose of greatly timed comedic sugar as he perfectly referees- and Bennett knows how to keep the shows positive! Cake Wars and Cupcake Wars are a breezy change from Bennett's Mean Girls past as the family shows offer far more light-hearted, family friendly entertainment than cattiness. As iconic as Bennett's past roles have been, him and his on screen love interests like Lindsay Lohan and Amanda Bynes have faced some tough scrutiny from the online bullies of the internet and the media, a topic Bennett tackles with nothing but grace and aplomb as he beautifully defends his co-stars. Find out what he has to say on cyber-bullying below, as well as more info on Cake Wars and Cupcake Wars, and who he would love to work with! Talk a little bit about how you got into hosting Cake Wars and Cupcake Wars? Were you always into baking, or do you have an enormous sweet tooth? Talk about Cake Wars specifically and some of the outrageous challenges fans can expect this season. This season is our best season ever. The themes we have this season are great- everything from Sponge-bob, to Captain America, to Charlie Brown- they are amazing themes that the whole family will love. And the cakes this season are some of the tallest, most massive cakes you will ever see in your life. These bakers blow my mind every time. And they are shows that the whole family can sit around and watch. The parents get to watch because they love baking and the kids get to sit there and see some of their favorite characters come to life in cakes. I can't tell you how many times kids come up to me on the street to tell me what big fans they are! It's really something for the whole family! Cupcake Wars has a ton of celebrity guests. Who is on this season, and who would you love to have guest star on the show? They haven't released the celebrity list yet- so I can't give it away! But, this season we have everything from NBA stars, to actors, to musicians, to talk show hosts- It's the biggest crop of celebrities we've ever had. I'm talking A-listers! And watching these celebrities try and do the simplest thing like make cupcake is really fun. I think the best celebrity cupcake war would have to be a bake-off between Bernie Sanders, Hillary Clinton, Donald Trump and Barack Obama! How great would that be? It would definitely get ratings through the roof! [Laughs] Ratings will be through the roof anyway! But, politics aside, we have to see who makes the best cupcake, right? This isn't your first time doing competition television. Talk about your time on Dancing With The Stars. Do you still dance now that you have that training? What my time on Dancing With The Stars taught me was... I'm not a dancer! [Laughs] I really like dancing and I enjoy doing it, but I don't think my body was designed to be a dancer. My arms and legs are so long, and it really makes for some Gumby like movements! Dancing With The Stars is the hardest experience you will ever have, but also the most fun! You keep pretty busy- outside of Cake Wars and Cupcake Wars. You also have recurring roles on Awkward and Hit The Floor. Talk a little bit about these roles and filming those shows. Yeah, I just try and keep as busy as possible! Working on those shows has been great. I also have a movie coming out at the end of June called Do You Take This Man? with Anthony Rapp and Alyson Hannigan. It's a story about two guys who are engaged and in love. I really liked it because it's didn't focus on the fact that it was a GAY wedding, it focused on the fact that it was a wedding between two people that are in love that happen to be men. It's really a beautiful story about two people in love, and their families uniting- the same way it would be with any other kind of couple. I really liked that and think it made this movie really special. I'm also shooting a movie right now in Chicago called Surprise Me. It's also about a wedding! Everyone knows that you of course got your start in Mean Girls- which 12 years later still somehow manages to be a regular part of the lexicon of youths. What is your favorite quote from the film? You know, I was fortunate enough to watch the movie with our director Mark Waters and about five thousand fans at the Hollywood Forever Cemetery. It was such a big part of my life, and it's really been a part of everyone's lives for the past twelve years, that to sit and watch it and hear the fans quote every line and literally cheer at everything? It was so touching. People have an emotional connection to the movie and more people than not use a Mean Girls quote every day in their every day dialogue. I feel so fortunate to be part of that. There's so many quotes I love, but I guess "You can't sit with us!" sticks out! You acted as a love interest to both Lindsay Lohan and Amanda Bynes- two young actresses who the world just fell in love with and then sadly and brutally ripped to shreds through social media, viciously exposing all of their hardships. You have faced your own fair share of bullying from the Internet as well. Can you talk a little bit about coming into fame at the time when social media just started taking off, especially as a young actor trying to have a successful career and a personal life? Talk about the bullying nature the media and the internet often possesses and how cruel it can be, and how often fans seem to want to set stars up for failure? [Cracks up, completely light-hearted] When I think about Lindsay Lohan and Amanda Bynes and how bad the media and the internet treated them, I always joke and say- "Was it me?" No, they are amazing girls and they came to fame as youths at a tough time when the world was really changing. Remember, when Mean Girls came out we didn't even have Twitter! Facebook was just starting to exist, but it was nowhere near what it was now. If you think about how fast things were changing and now how it's just a different time in Hollywood- it's so hard. Fans love you in the beginning, but one of the first people I met in LA told me to remember that they are only building you up so that they can rip you down. And that is absolutely true. The media just wants to build you up and make you a name so that they can destroy you and sell more press. And I think that's exactly what happened with Amanda and Lindsay, and they didn't deserve it- they are both fantastic girls, fantastic actresses and good people. When I worked with them they were kids- they were both under the age of eighteen! Who wants to destroy children like that? Social media is so brutal. And here's the biggest problem it's created- people lost their empathy. People are great at talking tough from behind a computer and say the worst things about people from the safety of their own homes like cowards! And these cowards attack and say these mean, horrible things because they don't get to see the heartbreak on someones face on the other side. Would that person still say it face to face? Most people wouldn't have the balls to do it because then you feel the pain you are causing! And it's horrible! We are just trying to have careers and live our lives. I work very hard, and when I'm not working I try and give back as much as I can, and it can be very hurtful to see some of the things that are said. So, yeah, I think the bullying is very bad- particularly to celebrity youths, and my heart goes out to Lindsay and Amanda. Do you keep in touch with any of the stars from your teen movie days? Which star would you love to work with again most? I think I would like to do a movie with Lindsay and Amanda. Together. Boy, Bennett sure knows how to create a blockbuster sensation! If Trump, Sanders, Clinton, and Obama weren't enough of a ratings bonanza, a Lindsay Lohan, Jonathan Bennett, and Amanda Bynes movie would break the internet! Time to make it happen! 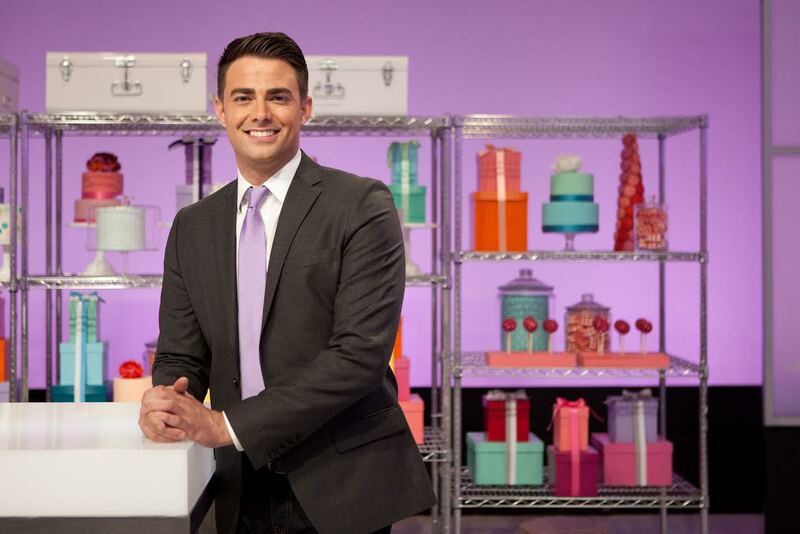 Cake Wars and Cupcake Wars airs Monday nights on Food Network, 9PM/9:30PM (8PM/8:30PMc).